A hob is an essential device for anyone looking to cook food at home. It can be used to create an incredible diversity of cuisine – from stews to chilli’s to bolognaises, all the way to flash-fried steak and chow-mein. An induction hob consists of a coil of wire placed beneath a sheet of durable, heat resistant glass or plastic. By passing an alternating current through the wire, the hob will become magnetised. This magnetic force would move the hob around – if the frequency of the current were not so high. Alternating more than twenty-thousand times a second, the current will cause the individual electrons of the pan to be yanked rapidly up and down – and, as they collide with one another, from side to side, too. This creates something called an eddy current – which, as a by-product, creates the heat with which we can cook our food. Browse our full range of SIA Induction Hobs! 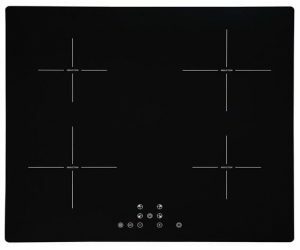 What are the advantages of an induction hob? 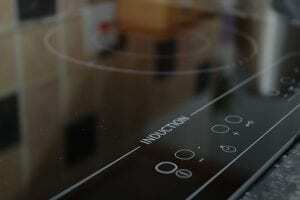 Induction hobs have a number of advantages over their counterparts – let’s examine them each in turn. Obviously, the naked flame that comes from a gas hob is far more dangerous than the surface of an induction hob, but other forms of electric hob also present the same danger: as electricity passes through a coil of wire it then heats a metal (or ceramic) platter, which will burn anything that touches it. By contrast, an induction hob will not generate heat without the presence of a magnetic metal. Provided you haven’t placed a metallic pan on top of it recently, you can even place your hand on an induction hob without feeling the slightest change in temperature (if you have, then the heat from the pan will have radiated back onto the hob, so don’t try this immediately after removing the pan). Many might balk at the idea of activating such a magnetic field – but the fact is that radiation of this sort is commonplace in many household items, and governed by a number of internationally-recognised standards and limits. Such regulations help to ensure that magnetic devices in your home – including speakers, headphones, hairdryers, and washing machines – are safe to use. That said, there are circumstances in which an induction hob might be a concern. If you have a pacemaker, then you’ll want to consult your doctor before investing in one. Most induction hobs come equipped with safety features that detect the presence of a pan, and disengage the circuit in order to prevent electromagnetic energy from radiating outward – even when the hob is mistakenly left on. Other types of hob leak energy in every direction. The result is that we need to generate more energy than we actually need. An induction hob solves this problem. The heat is generated directly within the pan, rather than on the hob beneath – which means that we don’t lose any of it as its being transferred from the latter to the former. As we’ve noted, the vibrations produced by an induction hob are far too high-frequency to be heard by the human ear, which can only hear a maximum of around twenty kilohertz (and far less as we get older). That said, you might still notice some unusual sounds being emitted by your hob. The chances are that these are the result of the cooling systems built into the hob, which are returning the coils to the correct temperature and thereby extending its lifespan. A second key advantage of an induction hob is one that they share with a gas hob – any adjustments you might make to the temperature of the hob will produce instant results. This means you won’t need to wait around for the pan to get to the temperature you need. Pans of water can be brought to the boil within about 90 seconds – meaning you’ll always be in control of the energy you’re using. Some induction hobs come equipped with so-called flexi-zones. These hobs don’t come with a quartet of magnetic coils, but with many smaller ones which detect the presence of a metal pan and activate according to where it’s placed. These hobs are ideal for cooking with larger pans or trays – or with many smaller ones! Induction hobs also tend to come equipped with features that will make life in the kitchen easier – such as lower settings for keeping pans warm, touch controls and timers. While induction hobs might be very sophisticated devices, on the surface they’re remarkably simple, consisting of little more than a large, smooth sheet of glass, marked with circles where the hobs are. This means that any spillages will be easily swept up with a wet sponge. Moreover, since the surface itself doesn’t get hot, those spillages will be far less likely to become cooked-on. Save money on the hob of the future at Ship It Appliances. 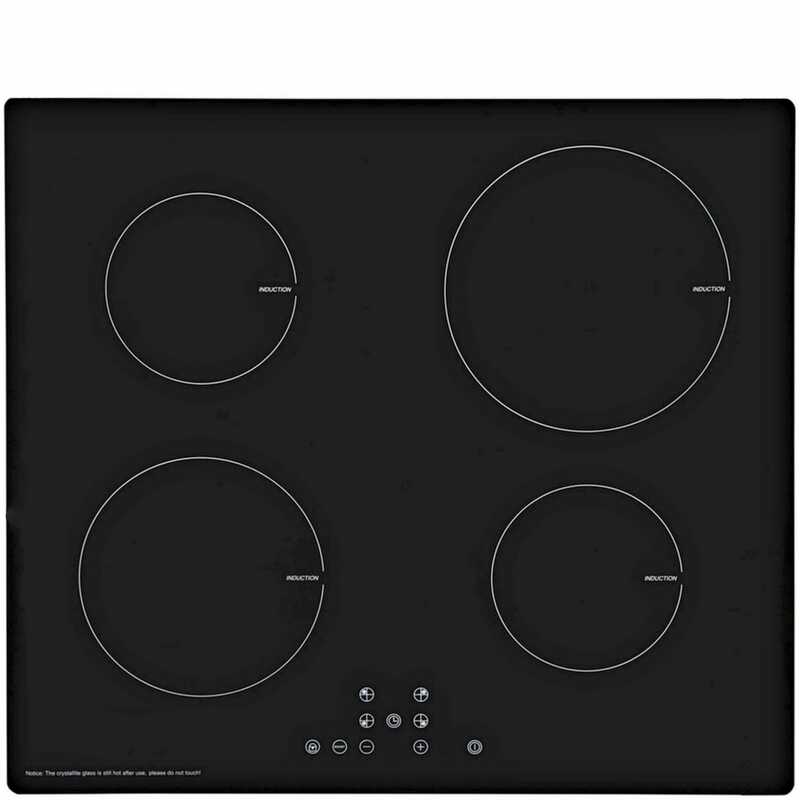 Induction hobs in stock for free & fast delivery when you buy online today! All of the features we’ve described thus far come with a price tag. Induction hobs tend to cost more than their counterparts. Moreover, since electricity is more costly per unit than gas, the running costs are higher, too. That said, induction hobs are far cheaper to run than other electric-type hobs, thanks to the efficiency with which they work. The second downside of an induction hob concerns compatibility. Since they work through magnetism, they need to be used with magnetic cookware. Aluminium and ceramic cookware will therefore not be compatible with an induction hob. If you’ve amassed a considerable collection of such cookware, then you might wish to consider the alternatives before investing in an induction hob. If you haven’t, then an induction hob is an obvious investment.